Keep abeam of rapidly standardizing navigational requirements with FlightSafety's online PBN training. 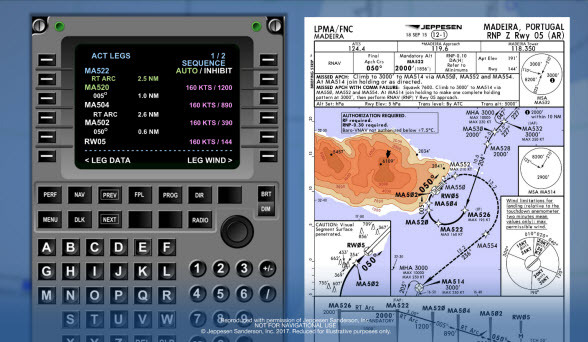 Meet regulatory requirements and conduct operations with confidence in PBN, RNAV, P-RNAV, and B-RNAV airspace. 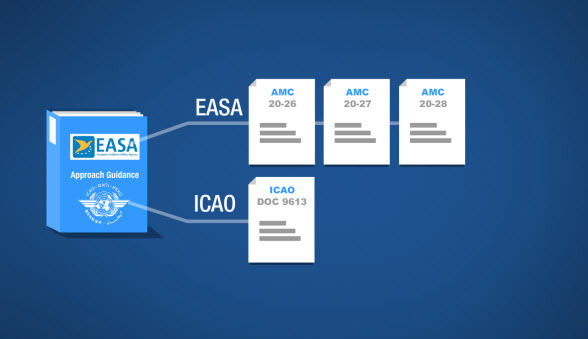 The EASA Performance-based Navigation eLearning complies with the training identified in the terminal, enroute, and approach portions of JAA Temporary Guidance Leaflet No. 10 (until replaced by AMC 20-16), EASA AMC 20-4, EASA AMC 20-27 and AMC 20-28. 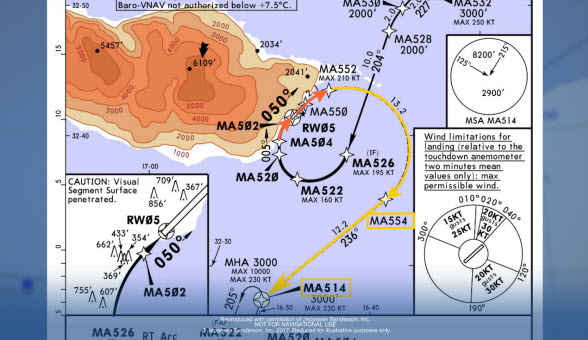 The pilot will become familiar with the aspects of European RNP, enroute B-RNAV, terminal P-RNAV, and approach procedures. This course also meets the training requirements of FAA AC 90-96A, Approval for U.S. operators and aircraft to operate under IFR in European Airspace in B-RNAV and P-RNAV. This course is compliant with Transport Canada CASS 724.115(22)(A-D,F-H), 724.115(22)(J)(i)(a)(i,ii,iii,iv,v), 724.115(22)(J)(b), 724.115(22)(J)(ii)(A-D), 724.115(22)(iii)(A-C), 724.115(22)(iv)(A-E), 724.115(37)(e,f), Ops Spec 612, Ops Spec 613, AC 700-023(Appx A), AC 700-023(Appx B), AC 700-023(Appx C), and AC 700-024. 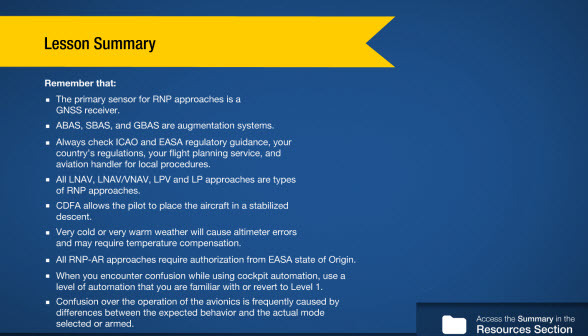 Flying RNP approaches including LP, LPV, LNAV, LNAV/VNAV, and GLS.